Post below any funny broken cards you've seen on this website. Also, this is a contest. At the end of it, I will personally judge the cards using the below metrics. The winner would be the owner of the card. Teeheehee. 1st Place - 7 favourites of a set of your choice, a follow, plus a trophy card. 2nd place - 5 favourites of a set of your choice, and a follow. 3rd place - 3 favourites of a set of your choice, and a follow. 11 point card - an extra favourite of your choice, and a follow. Referred the winner - a favourite of your choice. Ending date 14th of January. Just have fun with it. I will be keeping an eye out henceforth. Right click the image and copy the address, then paste it in image address. Optionally you can add the page address too. 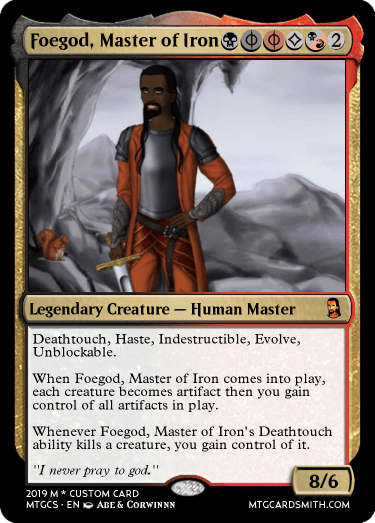 Oh it's Foegod, nothing competes with that. Consider this contest over. Will be hard to beat! Sorry but I have to vent out all the accumulated salt from playing against Golgari for the 57,896th time on Arena. 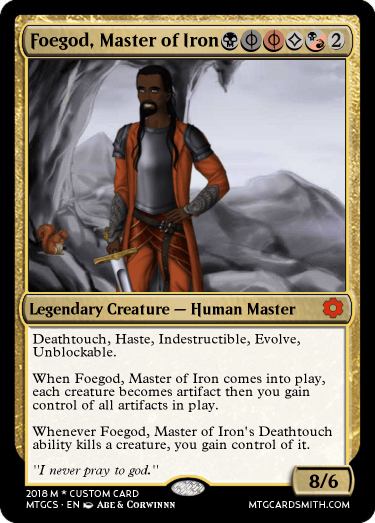 I feel like this gives Foegod a good challenge. 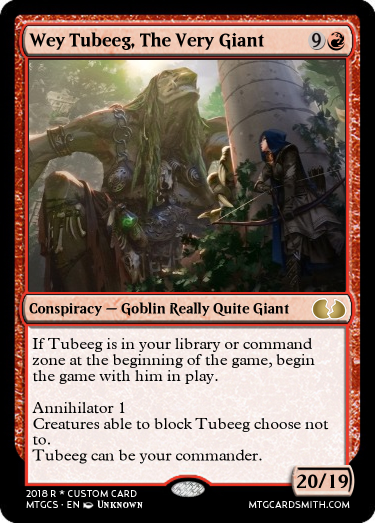 He really is quite big. What did you say? 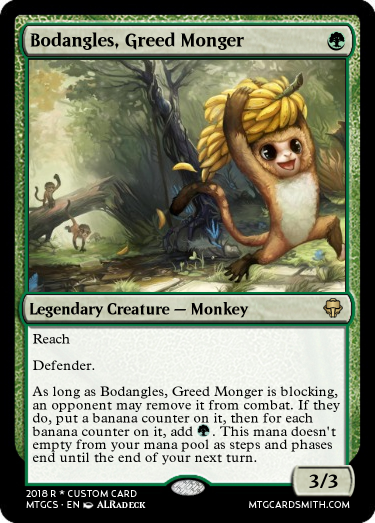 You're looking for Bodangles. Great, he is already here then. 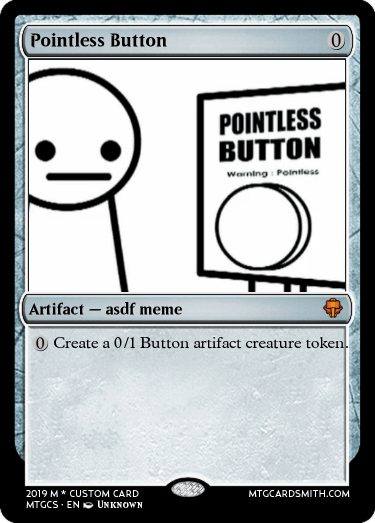 A card made as a joke for control decks. 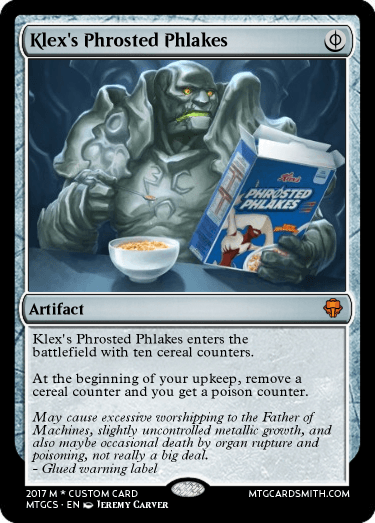 Made to counter mono-red burn. Okay, so the end date is 14th of January. I have no idea who's going to win this contest--good luck to you all! 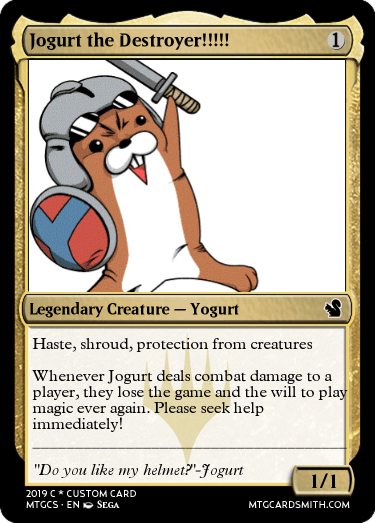 Can I post a card that I made? I've decided to not score for Formatting, but I will give an extra point to the cards with the effort put into it. 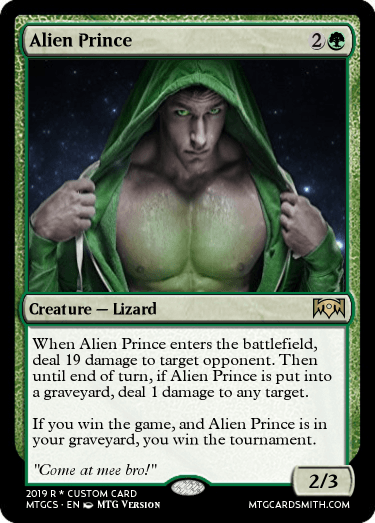 The most broken card which has scored an extra point is Alien Prince. Since it's my card, no bonus fav will be rewarded. notes: The Roger Federer of broken card contests, does it again. Too broken, overwhelmingly popular, no weakness in its game. It even has its own icon. The Winner. 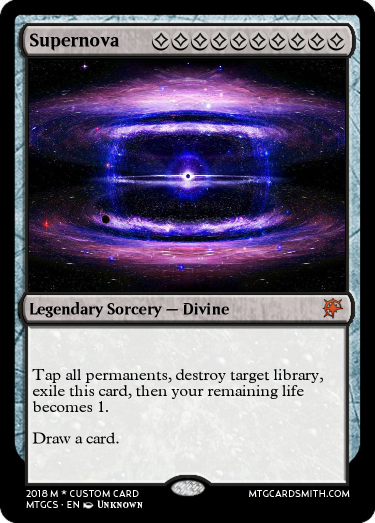 notes: This card's second entry to a contest has met it with some critical success (rather than instant removal), edging Adapter Exarch to reel in second place for this inaugural contest. notes: My fav. 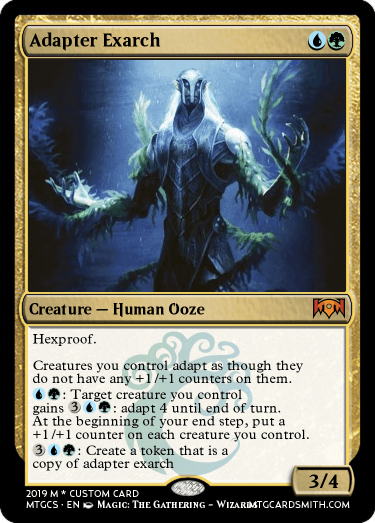 What is more hilarious than a 3/4 hexproof merfolk staring at your face turn 2? 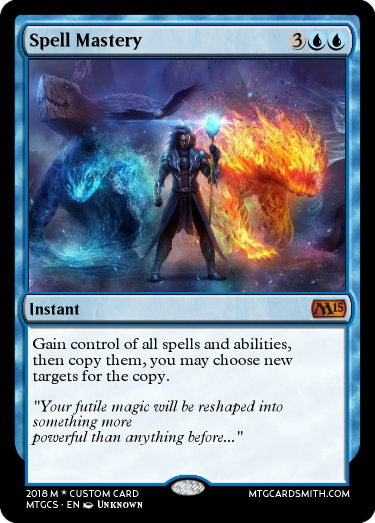 Then there is this ability: "Creatures you control adapt as though they do not have any +1/+1 counters on them." notes: If you're able to give control of this to your opponent, GG. 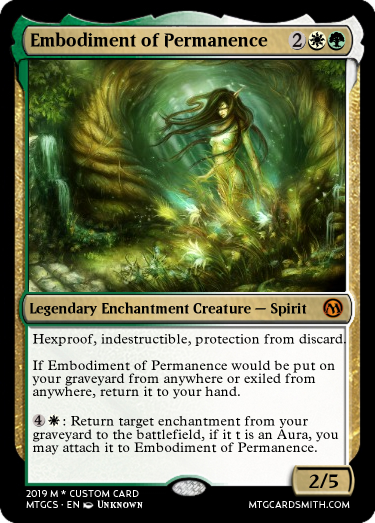 notes: Make sure your opponent's library doesn't have hexproof before playing this card. @Fallen_Lord_Vulganos, (update) you get a favorite from a set of your choice for referring the 4th place tied winner. Winners, please PM me if you'd like. So how do the prizes work?